accessible, with large and clearly-captioned icons that are easy to recognize and tap. The GO7 XSE is a full-featured chartplotter, with support for the widest available range of cartography options including C-MAP® MAX-N, Navionics®, Insight®, Insight Genesis®, and NV Digital® Charts. Navigate confidently to destinations near and far, with the flexibility to choose charts that best fit your needs and location. Set and record those destinations easily with simple waypoint mangement: mark waypoints with a touch, and assign meaningful names that make it easy to look up your desired destination whether you've mapped out ten places or a thousand. The Simrad GO7 XSE is fully customisable to suit your vessel and your favourite on-water activities - from power boating, to fishing, to water sports. Customise your home screen with shortcuts to the features you use most, and personalise it with your choice of wallpaper. Adjustable split-screen views and customisable panel layouts let you see everything you need on-screen at once, whatever your activity. 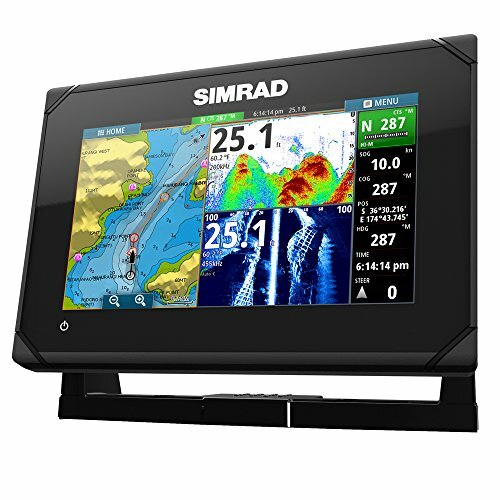 If you have any questions about this product by Simrad, contact us by completing and submitting the form below. If you are looking for a specif part number, please include it with your message.